It’s not like when an adult dies. There are no shoeboxes full of photos, no lifetime of letters, no years of remember-those-one-times. 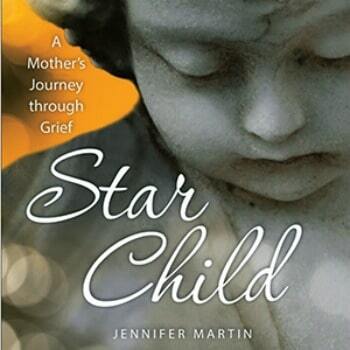 When a baby dies – especially in stillbirth or miscarriage – we parents have little in the way of happy memories to cushion the blow or balance out the scales of loss. I find myself drawn to one of the things I most strongly associate with my time with my son as a way to stay connected to him, even though it may seem strange and even “wrong” to some. 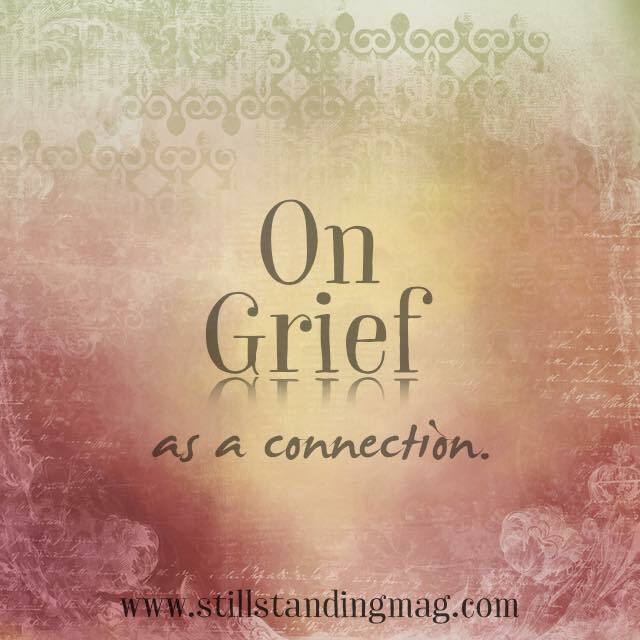 That thing is the grief I experienced, and am experiencing. After all, it’s one of the few connections I have with my little guy. We parents find ourselves clutching to the precious few things physically connected to our sons and daughters. A lock of hair, a hat the nurses placed on their heads, or perhaps a tiny footprint. For many, there might be nothing. If you’re lucky, these might amount to a handful of items that tangibly were impacted by our little ones. But, no matter how many, they are never enough. With few items physically tied to our children – and broadening out the sphere of connection – we turn to the things merely associated with them. My wife and I are eternally grateful for the 39 weeks we had with our son as he grew in the womb, and the few hours we were able to spend with him in the hospital after he was born still. But, the sad truth is, that’s just not much time to make many connections, and so we treat as priceless the precious few things that we mentally link with our baby: a pillow his grandmother made for him that never cushioned his head; a potted flower given to us the week after coming home from the hospital; the pictures and happy times from the pregnancy. However, these, too, are unfortunately few and far between. While we have scarce memories and fewer physical items associated with our son, we have a seemingly infinite amount of love for him, along with the corresponding cold shadow of grief. The real thing I find myself clutching to – the main association I have with Simon, for better or worse – is that overwhelming, nearly tangible sense of anguish. Those tears, that feeling of sadness, that longing, the aching arms yearning to hold–that desperation felt especially at the beginning. In a surprising way, I’ve found that these negative emotions sometimes hold an oddly positive aspect to them, since they are among the all-too few things so strongly linked with him. As I move through and learn to live with my loss (you don’t “get over” it, of course) I’m glad to feel better as time passes and the vast sadness slowly wanes; and yet, at the same time, each step I take away from the grief is – in my mind – a step away from my son. Maybe I simply haven’t figured out a new normal to associate with him, and this savoring of the grief will pass, but I feel it all the same. Some days it tears me up to feel better. The first time I caught myself whistling; the guilt and sadness experienced after a weekend of laughs and distraction; the times when we felt “we should be sadder” than we were, if only momentarily—these moments can feel like mini-betrayals. You might think that time passing away from the worst moment of my life would be a good thing. It is, and it isn’t. I remember, a few months after he died, we had our final meeting with the specialist to summarize the cause of death. We were finally done with doctors, done with tests. We thankfully could get AWAY from those experts and hospitals that failed us. You would think a wave of relief would wash over, but instead I experienced a surge of unexpected heartache. Not from the news we received (it was inconclusive) but because that chapter – the “hospitals-and-specialists-and-cause-of-death” chapter – had just closed, and I was now a discrete unit of time further away from my son. The nine-month mark was another surprise: realizing that we had just tipped over the point where the time we had been with Simon would now always be smaller than the time we would be without him, would in fact be steadily increasing. Each day that passes…each time I’m that much happier, and each chapter that closes is a signal to me that I’ve moved further away from my child, who will always be gone even if he’s in my heart each day. It’s a sign of one of my deepest fears: that he may be “fading” from us, and from my memory in some way. That pang of sadness, that spike of emotion associated with Simon (even if a negative one) brings me back to him. How do I stop from dwelling destructively in grief, but also come to terms with moving forward and away from that connection? How do I build new connections to him as the grief morphs into something else? But, don’t get me wrong; I don’t purposefully dwell in grief and don’t let it consume me (I think). And I don’t try to make myself feel bad to feel connected to my son (at least, not consciously). 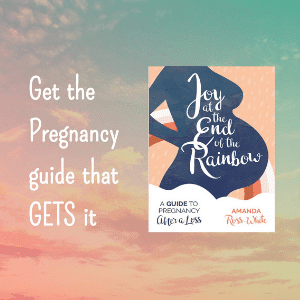 Rather, it’s worth acknowledging that there is a silver lining to this horrible experience of suffering through this pain: knowing that one doesn’t “get over” the death of a child, I’ve found a way to see a benefit in the grief, and I’m happy for that. Maybe I’m just rationalizing, but at least for me, this devastating, consuming anguish is at times a positive: it’s one of a very few connections to the one thing I hold most dear in this world—my son, Simon Alexander. And I’ll take what I can get.